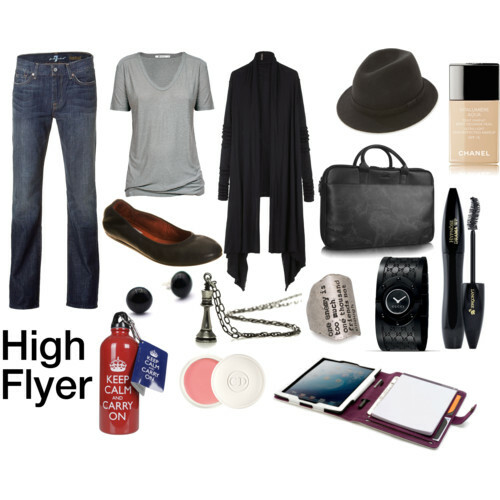 I love the laidback bluesy feel of this outfit - just hope her hat doesnt get crushed in the overhead compartment! Lovin' it! Looks comfy and stylish. I completely forgot a watch for mine, dammit! Awesome set. Luv that cardi and you found the iPad on Polyvore ... I was looking for that. The chess piece necklace is awesome. Ooh I love that travel bottle!! Love your style!